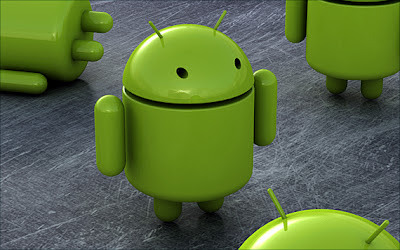 I've been thinking a lot about devices running Google's Android operating system lately. My long time readers shouldn't worry, I'm not planning a defection any time soon. I'm still an Apple fan boy and I still very much love using Small, Medium, and Large; more commonly referred to as my iPhone 4S, iPad 3 (ok, ok, 'the new iPad', sheesh!! ), and my 17-inch MacBook Pro. So what's with all of this Android mind share then? It just seems that everywhere I look, there is an Android powered something or someone is asking me about whether to get a Samsung or an iPhone. And then there are the technology blogs, newspapers, magazines, podcasts, and all the rest that are talking about Android. Oh, and let's not forget the little spat between Apple and Samsung that is going on right now. But the truth is, and by 'truth' I'm really talking about my 'opinion' here, is that copied or not, there are a number of interesting things going on with mobile devices running Google's mobile OS. A good friend was over last night with his Samsung Galaxy S II and was talking about all the things that he does with it: file sharing, document and email printing, game playing, interfacing with the computers at work, and yes, the obligatory email and web surfing. Granted, that he is what many of you would call a 'computer geek' and did 'root' his phone, still, the enthusiasm was there. The interesting thing about this device is that it's what I'd call a 'tween' device. It fits in between a smartphone and a 7-inch tablet like the Google Nexus 7. Who knows if that category of device will take off or not. I'm sure many people will want to use a device that size, but the question is are there enough people to make it a viable market or not. Will have to stay tuned to find out. The market has spoken and by and large, it's a two horse race: Apple's iOS and Google's Android. The device you pick is your choice to make. For me, iOS will be my mobile OS of choice. There are a lot of good things happening with Android, and it is just as powerful and functional as iOS.